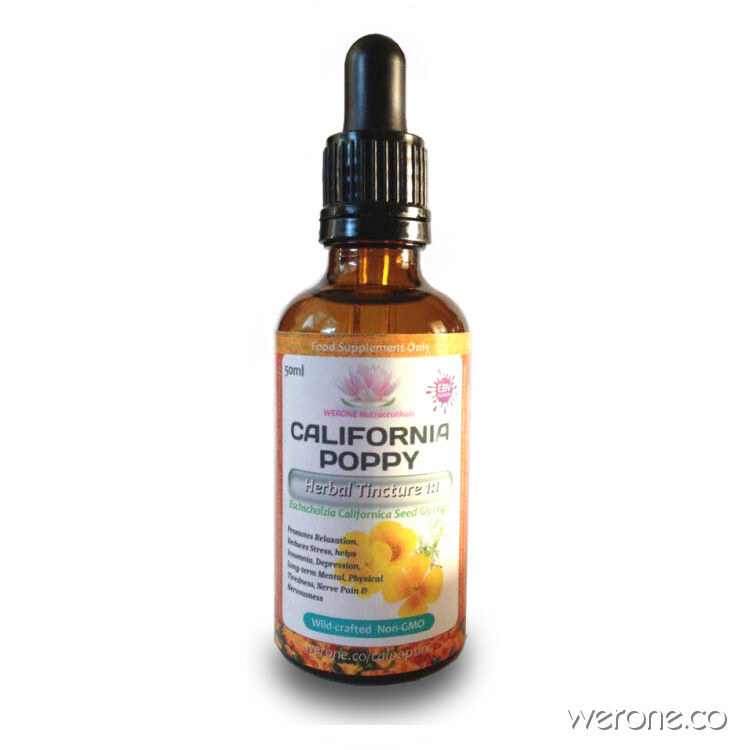 California Poppy is a therapeutic herb and flower that is rich in vitamins A, C, and E as well as minerals such as calcium and magnesium. 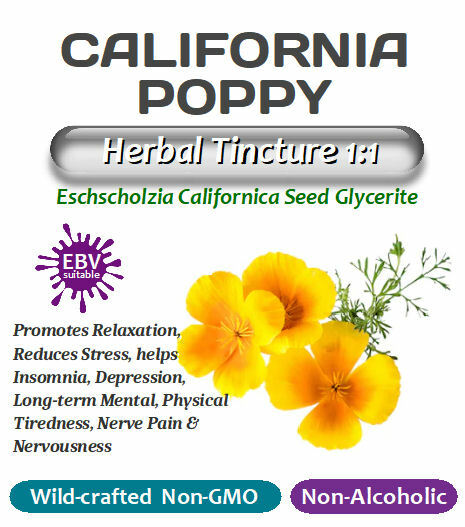 California poppy contains sedative properties that make it highly beneficial for relieving anxiety, stress, panic attacks, insomnia, hypertension, colic and bedwetting in children. It is also useful for behavioral disorders such as OCD, Bipolar disorder, Alzheimer’s, ADD, and ADHD.. The California poppy flower is usually golden orange, hence its common name “golden poppy.” It is the California state flower. The receptacle has an expanded rim that holds the young bud with two sepals until it blooms. The stem of the flower grows to approximately 5 to 20 inches tall, with teal coloured leaves sprouting from its base. The plant is prolific with numerous dark-coloured seeds held in the centre of the flower within slender, ribbed, single-celled seed capsules. This herb has also been used to improve intellectual capacity, memory, and concentration in the elderly. As an alcoholic tincture, it can be used for its antimicrobial properties applied externally to cuts and scrapes. Made with wild-crafted Eschscholzia californica aerial parts diffused 1:1 strength macerated for 2-3 weeks in high quality vegetable food-grade glycerine 60% (non-GMO , palm/coconut derived) & distilled water. In tincture or extract form for mild pain and anxiety 15 to 30 drops can be taken three times a day; for severe cases, 30 to 40 drops, two to five times per day. Suggestion: Shake well; mix 15-30 drops in water or held under the tongue; take 1-3 times daily.